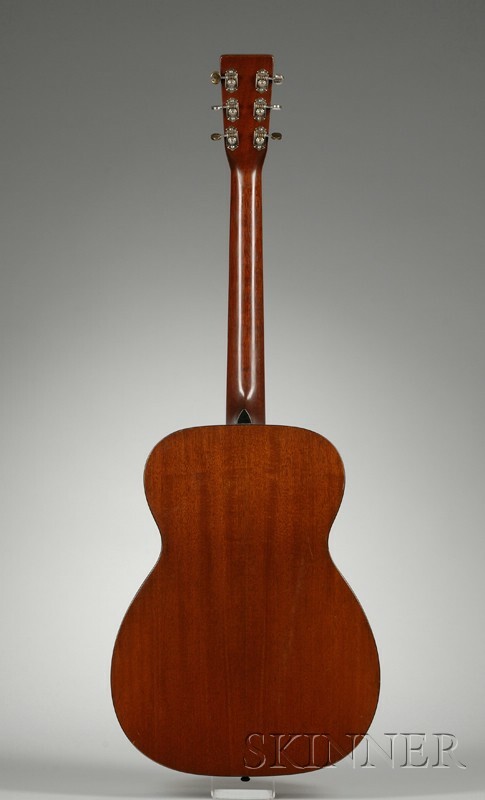 American Guitar, C.F. 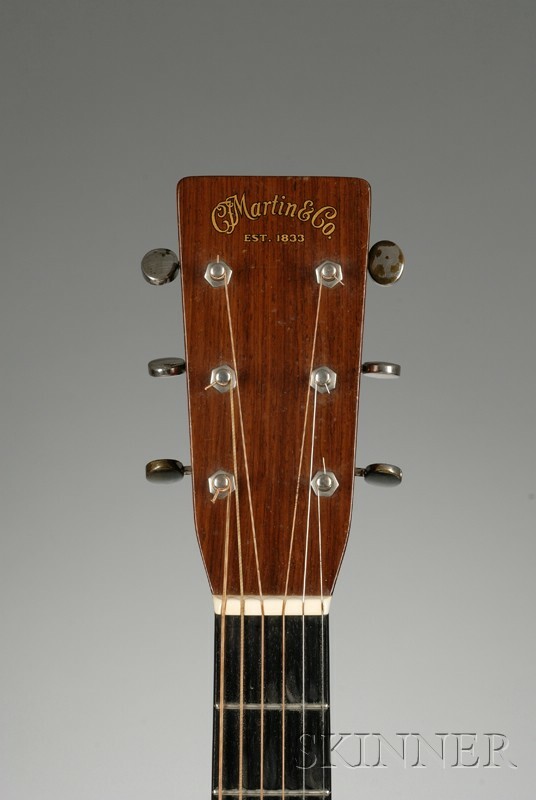 Martin & Company, Nazareth, 1940, Model OO-18, stamped CF MARTIN & CO, NAZARETH PA on the center strip, and OO-18, 74767 at the upper block, length of back 18 7/8 in., width of lower bout 14 1/2 in., with original case. Very good-excellent. Fingerboard wear in lower fret positions, minor surface scratches, finish abrasions at lower pick guard edge. Top bracing smaller dimension, earlier style. This may have been a special order guitar. Needs neck reset. Very clean, original chipboard case. One owner.